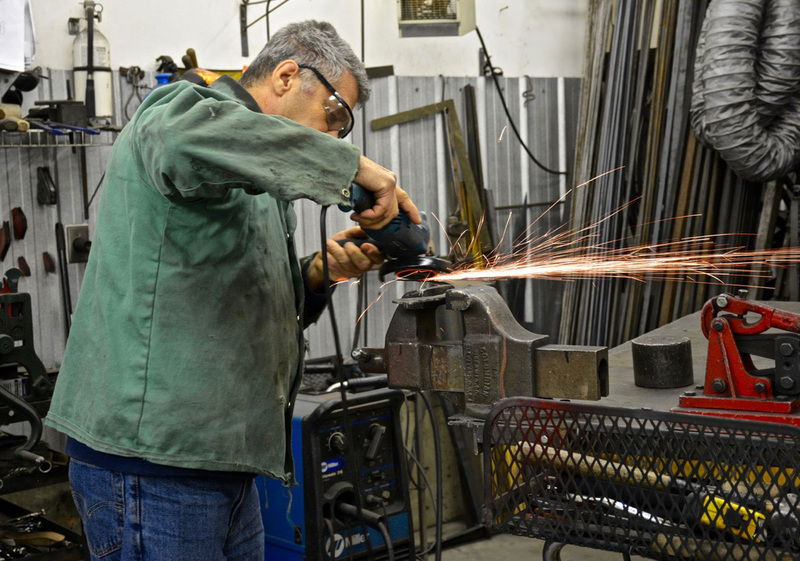 A self taught sculptor, Lawrence creates mostly in the medium of steel, sometimes glass, granite or mosaics are incorporated into his sculptures. He has a keen interest in large figurative works & musical instruments. Most recently he has focused his attention on fused glass sculpture. Commissions will be considered. Currently his work is displayed at the Van Dop Gallery, New Westminster BC, & Red Rooster Winery, Penticton BC. Since 2017 his sculptures can be found in the Castlegar Sculpturewalk & Mason City, Iowa. Many are located in the garden at their home gallery, 495 Vancouver Avenue, Penticton BC. His artwork can also be found in collections throughout Canada, the US, the Netherlands & the Bahamas. Bright, colourful & whimsical wallart, best describe Kena’s acrylic paintings. Not one to work within the confines of the canvas, her mixed media artwork flows beyond the edges of the canvas. After completing her paintings, she attaches plasma cuts of welded steel shapes to complete her most unusual “wallart”. More recently fused glass sculpture has captured Kena's attention! Her artwork is on display at Van Dop Gallery, New Westminster BC, sometimes Red Rooster Winery, the Bench Artisan Market & Hideaway Bakery & Cafe. Her artwork can also be found in collections throughout Canada, the US, Australia, Mexico, the UK & Germany. Something new - checkout the selection of fused glass sculptures! or pop by the home gallery, Cormier's Studio 495 Vancouver Ave., Penticton BC. It is open most days 1pm - 5pm, best to call first in winter 250-493-3273. The art gallery is a member of the “Art on the Naramata Bench” studio tour.